Captain James T. Kirk is one of the most famous Captains in the history of Starfleet. There’s a good reason for that. He saved the planet Earth several times, stopped the Doomsday Machine, helped negotiate peace with the Klingon Empire, kept the balance of power between the Federation and the Romulan Empire, and even managed to fight Nazis. On his five-year mission commanding the U.S.S. Enterprise, as well as subsequent commands, James T. Kirk was a quintessential leader, who led his crew into the unknown and continued to succeed time and time again. Kirk’s success was no fluke, either. His style of command demonstrates a keen understanding of leadership and how to maintain a team that succeeds time and time again, regardless of the dangers faced. Here are five of the key leadership lessons that you can take away from Captain Kirk as you pilot your own organization into unknown futures. "You know the greatest danger facing us is ourselves, an irrational fear of the unknown. But there’s no such thing as the unknown– only things temporarily hidden, temporarily not understood." 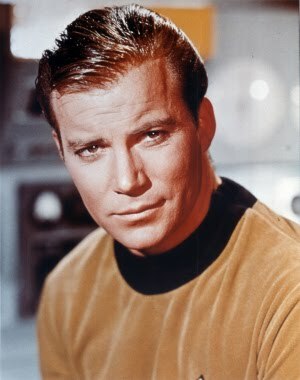 Captain Kirk may have a reputation as a suave ladies man, but don’t let that exterior cool fool you. Kirk’s reputation at the Academy was that of a “walking stack of books,” in the words of his former first officer, Gary Mitchell. And a passion for learning helped him through several missions. Perhaps the best demonstration of this is in the episode “Arena,” where Kirk is forced to fight a Gorn Captain in single combat by advanced beings. Using his own knowledge and materials at hand, Kirk is able to build a rudimentary shotgun, which he uses to defeat the Gorn. If you think about it, there’s no need for a 23rd Century Starship Captain to know how to mix and prepare gunpowder if the occasion called for it. After all, Starfleet officers fight with phasers and photon torpedoes. To them, gunpowder is obsolete. But the same drive for knowledge that drove Kirk to the stars also caused him to learn that bit of information, and it paid off several years later. In the same way, no matter what your organization does, it helps to never stop learning. The more knowledge you have, the more creative you can be. The more you’re able to do, the more solutions you have for problems at your disposal. Sure, you might never have to face down a reptilian alien on a desert planet, but you never know what the future holds. Knowledge is your best key to overcoming whatever obstacles are in your way. Kirk’s closest two advisors are Commander Spock, a Vulcan committed to a philosophy of logic, and Dr. Leonard McCoy, a human driven by compassion and scientific curiosity. Both Spock and McCoy are frequently at odds with each other, recommended different courses of action and bringing very different types of arguments to bear in defense of those points of view. Kirk sometimes goes with one, or the other, or sometimes takes their advice as a springboard to developing an entirely different course of action. However, the very fact that Kirk has advisors who have a different worldview not only from each other, but also from himself, is a clear demonstration of Kirk’s confidence in himself as a leader. Weak leaders surround themselves with yes men who are afraid to argue with them. That fosters an organizational culture that stifles creativity and innovation, and leaves members of the organization afraid to speak up. That can leave the organization unable to solve problems or change course. Historically, this has led to some serious disasters, such as Star Wars Episode I: The Phantom Menace. "Risk is our business. That’s what this starship is all about. That’s why we’re aboard her." Whenever an interesting or challenging mission came up, Kirk was always willing to put himself in harm’s way by joining the Away Team. With his boots on the ground, he was always able to make quick assessments of the situation, leading to superior results. At least, superior for everyone with a name and not wearing a red shirt. Kirk was very much a hands-on leader, leading the vanguard of his crew as they explored interesting and dangerous situations. When you’re in a leadership role, it’s sometimes easy to let yourself get away from leading Away Team missions. After all, with leadership comes perks, right? You get the nice office on the higher floor. You finally get an assistant to help you with day to day activities, and your days are filled with meetings and decisions to be made, And many of these things are absolutely necessary. But it’s sometimes easy to trap yourself in the corner office and forget what life is like on the front lines. When you lose that perspective, it’s that much harder to understand what your team is doing, and the best way to get out of the problem. What’s more, when you’re not involved with your team, it’s easy to lose their trust and have them gripe about how they don’t understand what the job is like. This is a lesson that was actually imprinted on me in one of my first jobs, making pizzas for a franchise that doesn’t exist anymore. Our general manager spent a lot of time in his office, focused on the paperwork and making sure that we could stay afloat on the razor-thin margins we were running. But one thing he made sure to do, every day, was to come out during peak times and help make pizza. He didn’t have to do that, but he did. The fact that he did so made me like him a lot more. It also meant that I trusted his decisions a lot more. In much the same way, I’m sure, as Kirk’s crew trusted his decisions, because he knew the risks of command personally. In one of my all-time favorite Star Trek episodes, Kirk and his crew face down an unknown vessel from a group calling themselves the “First Federation.” Threats from the vessel escalate until it seems that the destruction of the Enterprise is imminent. Kirk asks Spock for options, who replies that the Enterprise has been playing a game of chess, and now there are no winning moves left. Kirk counters that they shouldn’t play chess – they should play poker. He then bluffs the ship by telling them that the Enterprise has a substance in its hull called “corbomite” which will reflect the energy of any weapon back against an attacker. This begins a series of actions that enables the Enterprise crew to establish peaceful relations with the First Federation. I love chess as much as the next geek, but chess is often taken too seriously as a metaphor for leadership strategy. For all of its intricacies, chess is a game of defined rules that can be mathematically determined. It’s ultimately a game of boxes and limitations. A far better analogy to strategy is poker, not chess. Life is a game of probabilities, not defined rules. And often understanding your opponents is a much greater advantage than the cards you have in your hand. It was knowledge of his opponent that allowed Kirk to defeat Khan in Star Trek II by exploiting Khan’s two-dimensional thinking. Bluffs, tells, and bets are all a big part of real-life strategy. Playing that strategy with an eye to the psychology of our competitors, not just the rules and circumstances of the game can often lead to better outcomes than following the rigid lines of chess. "All I ask is a tall ship and a star to steer her by.’ You could feel the wind at your back in those days. The sounds of the sea beneath you, and even if you take away the wind and the water it’s still the same. The ship is yours. You can feel her. And the stars are still there, Bones." One recurring theme in the original Star Trek series is that Kirk’s first love is the Enterprise. That love kept him from succumbing to the mind-controlling spores in “This Side of Paradise,” and it’s hinted that his love for the ship kept him from forming any real relationships or starting a family. Despite that love, though, there came a point in Star Trek III: The Search For Spock, where Captain Kirk made a decision that must have pained him enormously – in order to defeat the Klingons attacking him and save his crew, James Kirk destroyed the Enterprise. The occasion, in the film, was treated with the solemnity of a funeral, which no doubt matched Kirk’s mood. The film ends with the crew returning to Vulcan on a stolen Klingon vessel, rather than the Enterprise. But they returned victorious. We are often, in our roles as leaders, driven by a passion. It might be a product or service, it might be a way of doing things. But no matter how much that passion burns within us, the reality is that times change. Different products are created. Different ways of doing things are developed. And there will come times in your life when that passion isn’t viable anymore. A time when it no longer makes sense to pursue your passion. When that happens, no matter how painful it is, you need to blow up the Enterprise. That is, change what isn’t working and embark on a new path, even if that means having to live in a Klingon ship for awhile.